As it turns out, this Microsoft Cloud wasn’t zoned for optimal utilization — it ended up in a construction site. Sort of like unsuspecting consumers of the Office 365 service, which is so prominently featured on the sign. Or, as they say at Azure: Temporary “DNS issue” folks. Nothing to see here. Submit Your Caption for a Chance to Win! Think of your most clever caption to the photo above and post it below as a comment for a chance to win a copy of VMware Workstation 8 ($199 value). Hurry, contest ends October 11. This cloud looked a lot taller in the brochure. Are they building an entrance? Or an exit? Traffic fines doubled… and so have my operational costs! Want to know the real irony here? This obstruction is a pedestrian footbridge that will be frequented by Google employees on their commute to one of many buildings in the area. You can’t make this stuff up. Rules: Winner selection is subjective. If similar entries are received, the first submitter will have priority. Entry must be received by October 11, 2011 11:59 p.m. PDT. Prize not claimed within five days of notification will be forfeited. Contestants must be legal residents of earth. Not sponsored or endorsed by any third-party. 1. Cloud Power – Can you see it’s potential? 2. Microsoft’s cloud, as obscured as ever. 2. Every cloud has a silver lining…in this case a bridge to Google. “Bridge Over Troubled Waters” ? What’s new? Once on Micro$oft, everything doubled. Please don’t fine us further, tolong tolong! Okay, now when we light these…our firewall will be complete and no one will get through! Ah, and now we finally learn the best way to deal with the Microsoft Cloud – build a bridge (to vSphere) and get over it! 1.The road to Microsoft Cloud Power is laid with construction – one fine at a time. Over the cloud and onto the footbridge, to the datacenter we go! Thinking of taking your migration to the cloud to the next level? Cloud Power: Under Construction. Hard Hat area. Congratulations, Josh! You are the winner. Enjoy your free copy of VMware Workstation 8! 1) Microsoft Cloud Power – still under construction? 2) Microsoft Cloud Power – you’ll be able to see it better eventually! 3) Don’t speed to the Microsoft Cloud – Traffic fines double! 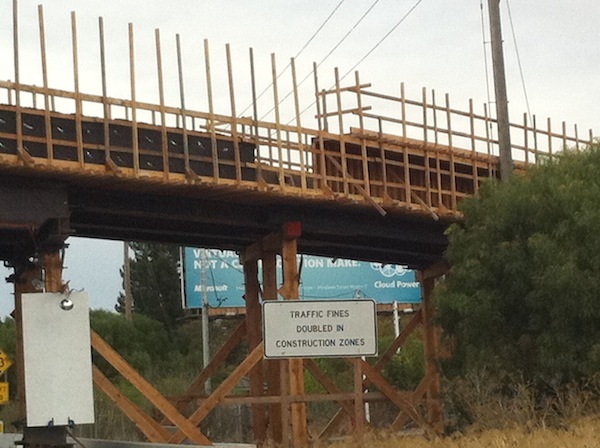 4) Hey, does this bridge go to the Cloud? 5) Microsoft Cloud – a bridge to nowhere? 1. Google blocks access to Microsoft’s cloud amidst mobile patent disputes. Google denies allegations sources say. 2. Microsoft’s cloud falls from the sky. 3. Microsoft’s cloud powers down. Ballmer does nothing.